This past Saturday marked the 22nd day of what has become the longest government shutdown in U.S. History. For three weeks, TSA officers have initiated a “blue flue” strike- reporting ill en masse to protest uncompensated yet compulsory shifts. Millions of Americans may miss vital refund payments from a gutted IRS. Unstaffed national parks have been desecrated. Paycheck-to-paycheck government employees risk missing the year’s first mortgage payments. Citing concerns over national security, President Trump has vowed to effectively prolong this debacle by vetoing any spending bill that doesn’t allot at least $5.7 billion for a wall along the US-Mexico border. Chuck Schumer and Nancy Pelosi have responded in kind, signaling that their Democratic legislative majority will not pass a bill that grants even a penny for the wall’s construction. 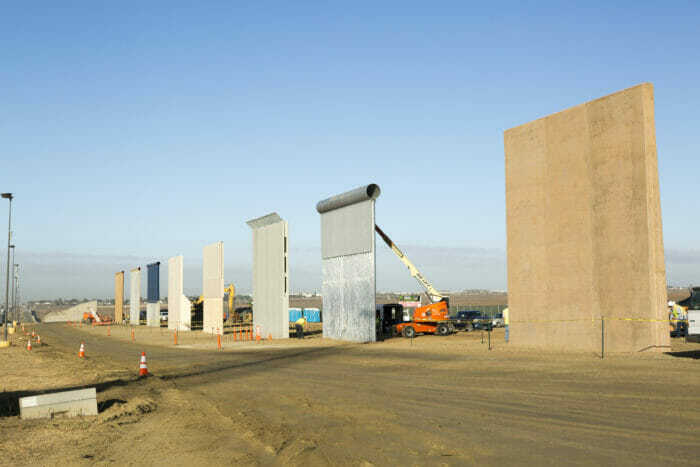 While border security is a pressing issue, that money would be better spent shoring up places where the illegals, drugs, and crime that Trump seems so preoccupied with actually enter the country: at legal points of entry, airports, and customs offices. But that’s just it. This policy debate-turned-shutdown isn’t about the wall. It isn’t even about border security. Trump’s proposed border wall symbolizes his entire ethos, the “America first,” nationalist platform on which he was elected: prioritize those (white) citizens within our borders, and limit encroachment from those without. Erecting a barrier would vindicate this ideology and deliver a major policy victory for his constituency. But for Democrats with both policy objections and political points to be scored by obstructing the president, toppling the wall before the foundations are ever laid would prove similarly gratifying. Neither camp has any reason to concede: the political risks are too great, the rewards too tantalizing. This shutdown could very well last into 2020. To prevent a full year of government-less chaos, Capitol Hill must separate this political dispute from its other spending negotiations. In doing so, government agencies would function at full capacity and their nearly 800,00 furloughed staffers could get back to earning salaries, while Congress would have extended time to hash out comprehensive national security improvements without disenfranchising those on its payroll. Sure, we have a national security issue. And yes, increased fortification of the border would help. But $5.7 billion would be more effectively allotted elsewhere, and the average American would see more benefits from simply reopening the government than any wall–or lack of one– could ever provide.